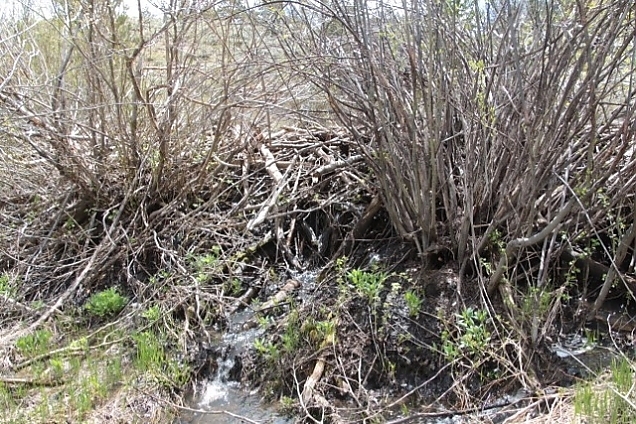 Our land has always had a beaver pond. 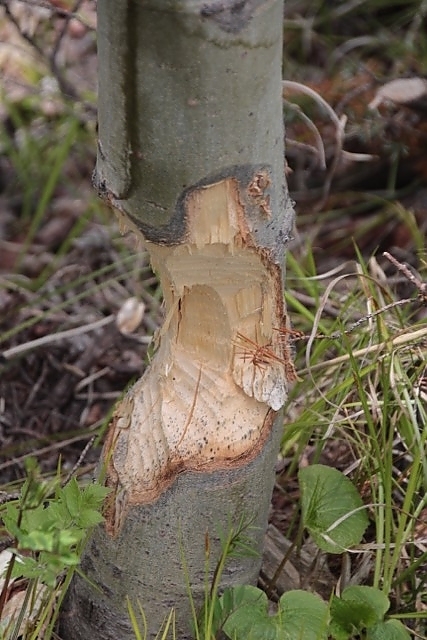 When we first bought the property back in 1988 there were active beavers. 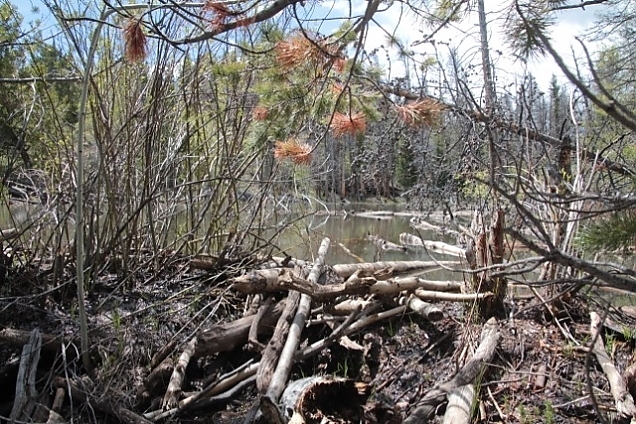 Something happened, not sure just what, but the beavers abandoned the pond and over the years it has actually started to silt over into more like a boggy meadow on one end. It's been that way a very long time. We were shocked to hike down there this past trip to find it occupied again -- big time. Our little pond has tripled in size and we can longer reach it easily. 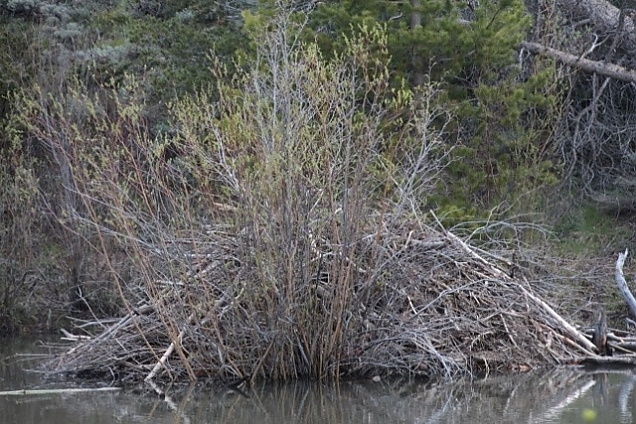 The beavers had "beavered" away at tons of aspens. 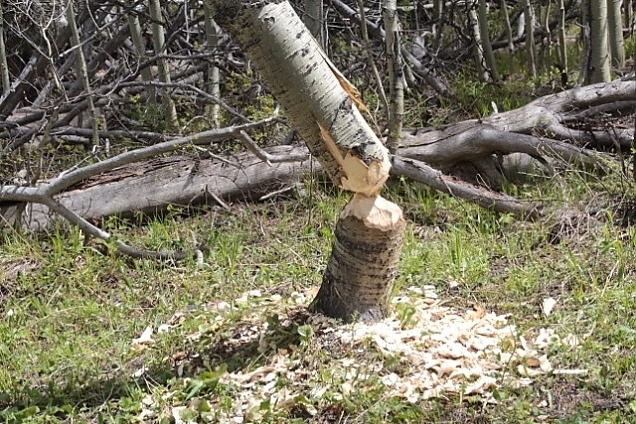 Chewed off stumps were everywhere. 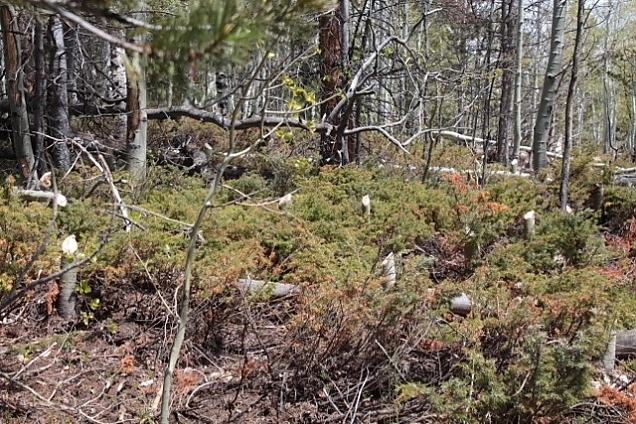 We now have a clearing where once stood an aspen forest. 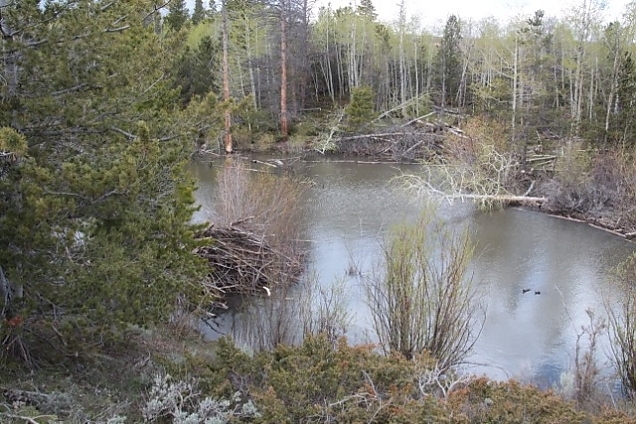 In this photo taken from the beaver hut side of the pond you can see the clearing that's been made by taking out so many trees. 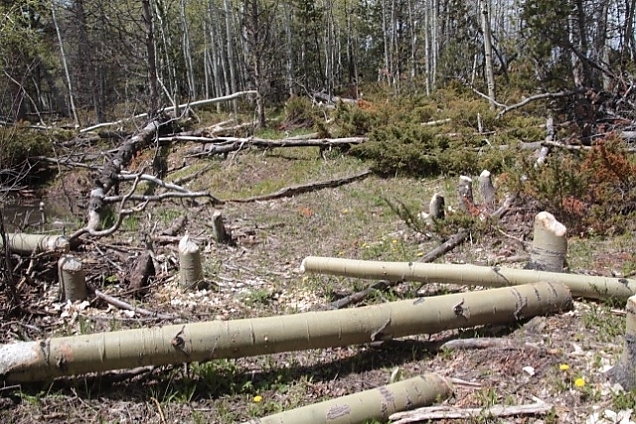 It used to be solid aspen trees. 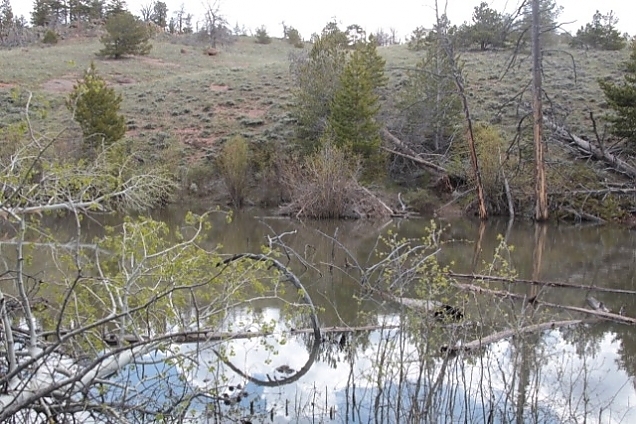 See that tree hanging over the pond on the end? The fourth photo down (above) is that same tree. Someone didn't have their engineering degree yet I guess because it obviously fell the wrong way. A waste of a good tree. A BIG tree. Here's another example of bad engineering. This tree is almost there. But not quite! It ended up resting on other trees. Pretty amazing. I am thinking that over the winter either the snow or wind will finally take it down. 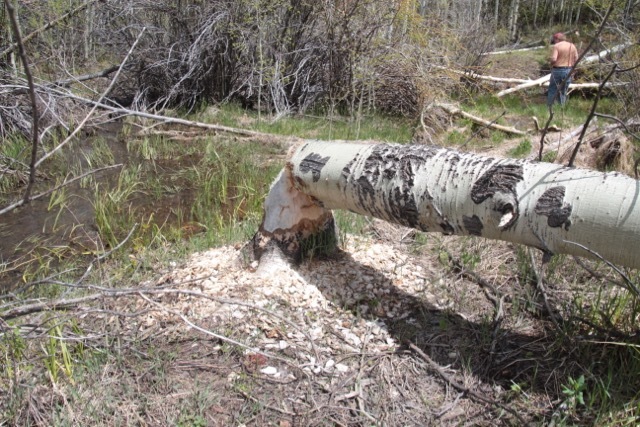 I bet that beaver was pretty frustrated after all that work! 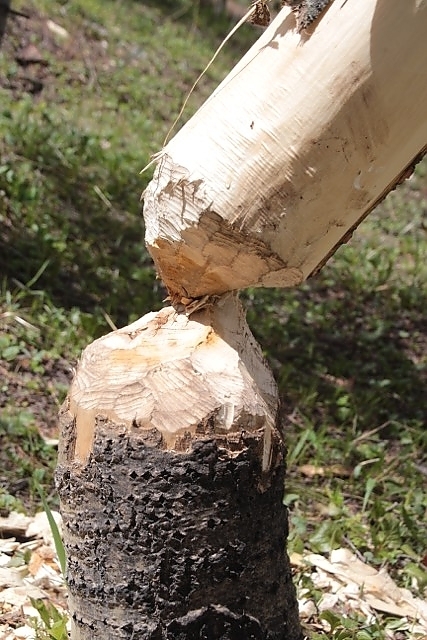 I am glad we have beavers again but I wish they weren't quite so descrutive! I hope after all this work that they stay awhile and don't abandon it yet again!